Beauty Blog by Angela Woodward: Announcing ME on Periscope! ... I will be posting a video EVERY SINGLE DAY answering your questions about beauty, doing tutorials, interviewing other industry professionals, or even showing hair color placements and techniques for professionals! Every Single Day! 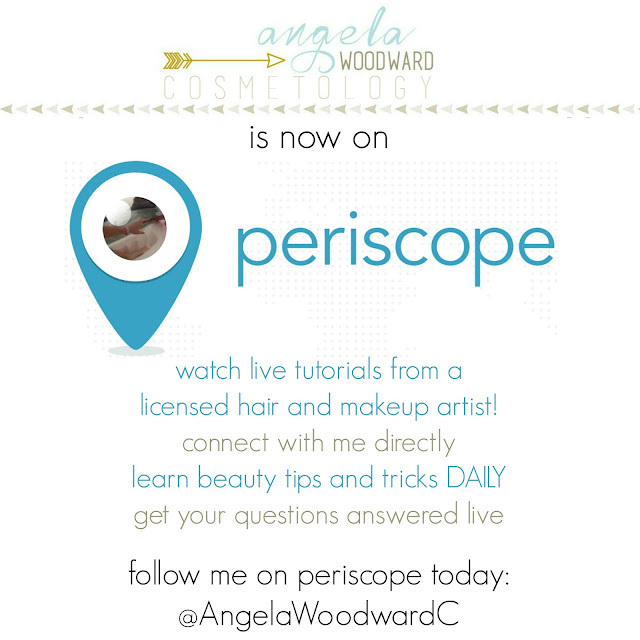 Go to BeautyBlogByAngela.com to message me (through the contact form on the left hand side) your questions and what you'd like to see on periscope! Or follow me and message me your questions on my next video tomorrow!